We began the process using the NAM (nasal alveolar molding) today with Jonathan. As we woke up and got ready to drive up to north Atlanta, there was a bit of excitement for him. Knowing that this process would improve his feedings, improve scarring after surgery, and start the beginning of the recovery of his cleft left us a bit anxious to get there. I was also nervous for how it would all go down as any mother would be for their child. My parents came over to watch the other children at our home. We are so thankful they moved here close to us in Georgia for the purpose of being helping hands and involved grandparents in their lives. My mom snapped a photo of us on our way so we could get one last glimpse of the "before" of how Jonathan looked as God created him when he was formed. And in the car we went with our sweet wonder. As we arrived at CHOA, we checked in and slumped down into the brightly-colored orange chairs in the big waiting room. The craniofacial clinic also shares the floor with an area for children with spina bifida, cerebral palsy, and epilepsy among other things. We see parents with their young ones waiting, entering, and leaving the room. The waiting room is quite a surreal thing as we all exchange knowing looks, kind smiles, with hearts pouring out for one another. I see a mother talking sweetly to her son of about 9 years old with cerebral palsy. I see two other mothers with cleft babies and a set of concerned grandparents. We all love our children and there is so much pulling of heart strings in the room. I get a bit teary-eyed as I think about how amazing each of these precious gifts are to the world and how even more amazing many of these mothers are for not deserting them. When I prayed to the Lord last year, I asked him to break my heart for what breaks His. And you know what? He did! It did not break when I had a baby born with a cleft palate and lip. It broke when I thought about all the innocent children who are born and abandoned around the world. There are so many children who didn't ask for this but because they were born this way, mothers and fathers deserted them. Orphanages are filled with them and some of them are older children who have never had any treatment. This is what breaks my heart. I hear God. I hear Him telling me that this is only the beginning. I've always wanted to adopt someday after having my own. Is this what He is calling me to in the future? When I looked around the internet at cleft lips and palettes before Jonathan was born so I could learn more, I saw many sites with babies and children waiting to be adopted with this very thing. I know it's not possible right now to adopt. But maybe, just maybe it will be someday. Even so, my heart is broken for those left alone. My heart is broken for those without loving families there to support them as they go through the process of treatment. And I hope that we can all think about it and do something. Even if we can't adopt, we can do something and we should. Now back to Jonathan's NAM insertion and fitting we will go. We were called back and met with Dr. Granger who will be Jonathan's orthodontist. He will see him all the way through to adulthood insuring Jonathan gets what he needs as treatment for his mouth. He was the one who created the mold for him at the last appointment and he is who we will see on about a weekly basis until his first surgery making necessary adjustments to the NAM. Dr. Granger showed us the process of the different tapes. One set of tape is cut to the size of a nickel and placed in front of the ears. The other set of tape is wrapped around the rubber bands which holds the NAM in place and keeps it tight. He tested the NAM inside Jonathan. It needed some filing down to fit just right. He left the room to return several times until it fit just right. The part of the tape with the rubber bands slips over it. He calls it "baby headgear" and looks about like that sort of thing too. Once it has a good fit, we leave it in and are free to go. 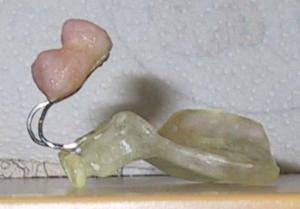 The NAM, which is sort of like a retainer basically, has to be removed to be cleaned about 4 times a day. The white tape needs to be changed 2-3 times a day. The nickel sized tape comes off about once a week and we leave it off to allow his skin to breathe for about 3 hours. We were warned Jonathan would fuss a lot the next few days. His tongue which is used to going up into the roof of his mouth now has to learn to go forward. But we were also warned that at the end of this process, once we remove it, he will hate it because he will be so used to it. So far, he cries as he learns to eat from his bottle differently with something new in the way. He has been fussier and fights it a bit. I have been holding him for about 5 hours now and he refuses to allow me to put him down, even to type this blog. But that is okay as I know babies don't keep. I don't mind it one bit. And this is where I will leave you for now. We watch and wait to see how his mouth transforms with this device before he starts the surgeries in the coming months. It's hard to believe we have a month left until our newest little guy joins our family. Without a doubt, these next few weeks will fly by quickly as we prepare our home and continue with our every day life events. I am really looking forward to having a Thanksgiving baby this year. We have so much to be thankful for and this little guy is definitely near the top of the list this year. We've made our visit over to the Center for Craniofacial Disorders in Atlanta at the Children's Hospital at Stride Rite. From our visit, we gathered lots of information on what to expect with having a child born with a bilateral cleft lip and palette. He will have anywhere from 5-9 surgeries over the course of his life along with many appointments at Children's Hospital for issues like speech, feeding issues, his teeth, and even his ears. But we are glad to have such a great facility close-by. Soon after he is born, he will have a NAM (Nasoalveolar Molding Device) created for him that will be inserted by the orthodontist at Children's Hospital. He will wear it up to 6 months before he has his first surgery for his lip. This is a new device that is showing great improvement in those born with cleft lips/palette reducing their need for as many future surgeries. He will need to go in weekly for an hour long appointment to have it re-inserted by the orthodontist. In addition, we will need to change the taping on it several times a day (learn more here). Our little guy will be seen for feeding as not having a closed palette will mean he doesn't have the normal suction that most babies have to be able to eat. It's like trying to drink out of a straw with a hole in it . He will most likely have to use special bottles for eating and there can be issues with him gaining weight. We do not know the severity of the palette and won't know until he is born. So a lot of this really depends on the size of his opening in his palette and how he will do with his feedings. Lately, I have reflected on how this has all come together for our family. Last January, Mike and I came to Atlanta to see if this would be a place we would be interested in moving to for his new job. There were a handful of options and this was one of them. Immediately upon arriving, we fell in love with the area. Finding this area where we are is a real gem. We loved the people, the atmosphere, and the family friendly environment. With only having been here for 36 hours on our little getaway, we had a strong feeling that this was where we needed to be as a place we could settle for our future. At the time, we knew our family wasn't done yet. We kept hearing God's voice in having another one and we listened. A month later, I became pregnant and now we are about to have this sweet little guy. We had no idea he'd be born with cleft nor did we know we'd be so much in love with him already. Our children are all aware of his condition and love him so much already too. But one of the biggest praises is that I feel like God brought us here because He knew of our needs to be near a great facility that could treat our son's cleft. Often lately, as I read all about caring for a baby/child with cleft, I feel overwhelmed by it all. I think of it as a continuous list or if it were things that needed to be done at all once. I tend to be a list girl who gets things crossed off after completion. I like to be organized and plan ahead. What is tough for me is to sit back and wait on what God's plans are instead of mine. In my mind, I think, "Let's get this taken care of and it'll be one less thing to worry about." But what if I just stopped worrying about the things to come and let God handle it? Why can't I surrender it all to Him knowing full well that He already has it all figured out? Time and again, God has shown His faithfulness to our family. Just last week, the days had been tiresome and Mike was gone everyday. Between homeschooling, cleaning house, and trying to get the yard up to speed with all the leaves that had been falling, I was beginning to fall apart. One of our neighbors saw us working outside in the yard and the very next night, knowing that Mike had been gone, surprised us with a huge meal. It couldn't have come at a better time as we were running low on food, it was dinner time, and I wasn't sure how I could get my exhausted pregnant self out the door with six children to purchase food. God always knows our needs and through a very generous neighbor, we were taken care of when we really needed it. It's hard to see the blessings we receive in our lives. Sometimes, it's easier to find all the things going wrong and stay unhappy. But when we change our attitude, we can sit back and think about the good things that have come along. Today was another rough day and I was feeling overwhelmed. Then the kids stepped up by helping with chores. That made this tired mother smile. And to top it off, after I put the twins to bed in their separate rooms, my daughter sneaked through the joining bathroom between their rooms and climbed next to her twin brother to go to sleep. I couldn't help but smile. In the words of Julie Andrews, "When the dog bites. When the bee stings. When I'm feeling sad. I simply remember my favorite things." And truly with those happy thoughts, we can once again be reminded of how blessed we all are in our lives, even through the storms. The last few weeks have been busy being back in the swing of our home schooling days. With a 5th grader, 3rd grader, 1st grader, and preschooler all doing school, it gets kind of crazy at times. Add in the twins getting in to things and I am on my feet running from student to twin the moment I get up in the morning until the time my head hits the pillow at night. This year, we have the older two taking some courses through Veritas Press Scholars Academy. It's such an excellent, prestigious school that has really been challenging for them. Our oldest is participating in both live and self-paced courses where our second oldest is participating in self-paced courses. Other subjects I work directly with them on. I love seeing how each child is growing and developing through our days in what they learn and know. Our first grader loves math and can sometimes get two lessons done in a day. Our preschooler will work on workbooks, practice her cutting, and loves coloring as well. I will often read books to the twins and they will play in the playroom as we get some of the core subjects done. It's hard to believe we are moving through the year as quickly as we are already. Being a very organized and on-task person, I often struggle with time management with everyone. I like being able to cross off x, y, and z from the list of things we need to get done and have it completed at certain times. I like to make sure we cover everything and some. When someone goes over a time scheduled for an activity, I nearly panic at the concept of being off-schedule which can nearly put me in a heart attack. This year with more people and things happening, I am learning to be less structured in a way that I don't get so crazy mom-teacher on them. Let's just say we've had a lot of grace days through this learning process. God is teaching me to rely more on Him and I am surrendering a lot of my own expectations so that everyone can have peaceful days. Not only are my children learning a lot from me but I am learning so much through them. Patience is an area that I am constantly learning as I tend to want things to happen right away. I am still working on not being overly connected online as I learn to connect more with the people around me. In addition, the break from blogging has been a welcome relief as I have been able to focus on the beginning of this school year without distraction. I enjoy the quiet and not getting too caught up in too much online even though I sometimes feel like I miss out on keeping up with everyone. I realize the most important moments are happening around me so I am trying to stay focused on that for the time being. 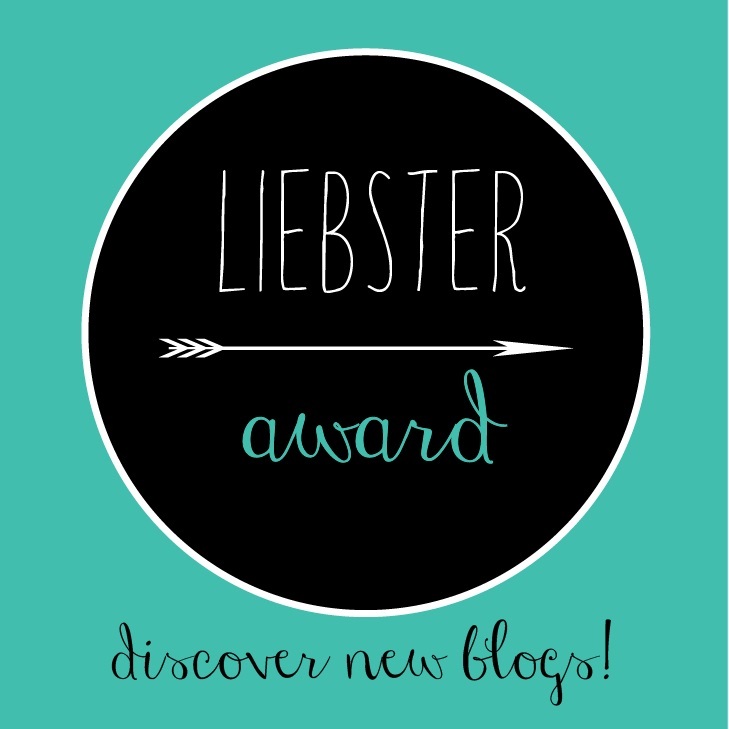 I was given a Liebster Award yesterday morning for my blog and I felt so honored by it. 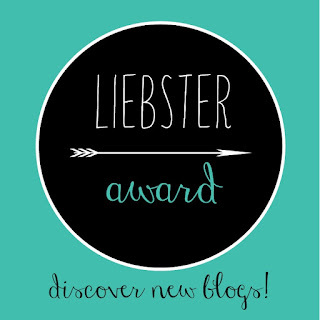 This award is about finding new blogs and getting to know the people behind them. Though I've been blogging for a year and half now, I wanted to participate in this so I can share a little about the person behind this blog. 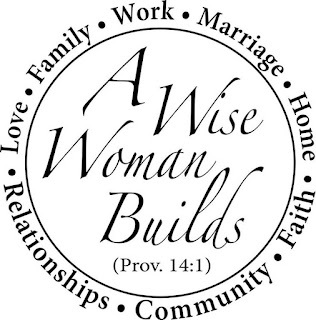 Being apart of the blogging world has allowed me to connect with some amazing women. I've been receiving neat notes in the mail from some of you lately and I just love hearing from you. I may not be as active in blogging as I have been but I wanted to thank my friend for the nomination and participate in this activity. My good friend, Elizabeth, over at Blessed Beyond the Mess chose to nominate me for this award. We are so much alike in a lot of ways. Elizabeth has 8 children and we will soon have 7 in our home. She is a military wife and both of our families were stationed together in Idaho for a couple of years. I really got to know Elizabeth living down the street from her. Each Sunday evening, her family would open up their home for Bible study and fellowship. It was so amazing to have all the families gather in her home and share in God's goodness as we grew together. It was a place many of us could come to for support when our husbands were deployed as well. It helped to keep us connected and sane. If you get a chance, head on over to read her post called I Said Yes. Like Elizabeth, we felt like God asked us to say yes to having seven children. With it has come lots of criticism from others as it's so different from the norm these days. My husband and I felt God's call to welcome these children into our home. I don't know if this is the last one for us. I also feel a nudge to adopt someday as well. We have prayed about it and allowed God to guide our hearts over this decision. This is where He has led us so far. And we LOVE every minute of it! Here is my post on some of the funny comments we've received over the years about our family when we've gone out into public. Joking aside, we love our wild, crazy life. Even on hard days, we find comfort in the grace being given to us by our Creator and Author of our faith. He has given us so many fun personalities all with varying gifts. He will use each of our children to do amazing things for His kingdom. How cool, is that? 1. How did you choose the name of your blog? 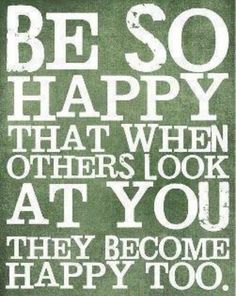 I have always loved the character trait of "joy." In fact, I would have loved to have named one of our girls Joy but since our last name is McCoy, I wasn't sure that it would go over well with others. Nonetheless, I love being around joyful people. Don't you? The kind of person who wears a smile on their face can brighten up a room. When I was a little girl, we had a camping trailer. There was a mug my mother kept in the trailer to use when camping that had the saying, "When you smile at the world, the world smiles back." I loved to think about that saying and what it could do for people. With it, I've always striven to be one of those people who wears a smile on her face. When I pass people in the store, I want people to wonder what makes me so happy. The answer is Jesus. He is the one who gives me unspeakable joy. It doesn't mean that I don't have hard days or difficult trials. We all have them. But we all need people to be uplifting in our lives and that is someone I strive to be for others. 2. What are you most passionate about in this life? I am most passionate about my faith and my family. Jesus is the rock of my salvation. He has gotten me through so much in the past and continues to fill my soul with hope each day. My family are the ones who are there no matter what. My family are not only the ones I am related to but the ones who've been an inspiration to me. I have sweet friends who encourage my walk and give me high fives to keep doing what I'm doing. I am also passionate about helping children who've been abandoned along with supporting women in very poor communities trying to get away from things like human trafficking. I like to support fair trade organizations like Fair Trade Friday. I feel good when I can help someone in need whether through supporting adoption, shopping with Fair Trade organizations, or supporting missions. 3. What is your favorite food? I am such a foodie and I am particularly drawn to health foods. I love to study nutrition and the body. 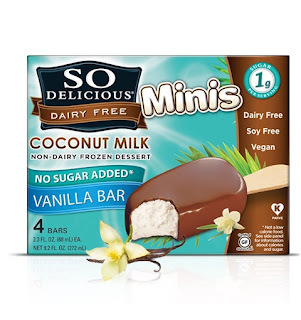 With the challenges of having two children with severe food allergies and now having a dairy allergy myself, I have learned different ways to eat. Before, cheeseburgers were my thing. Yes, I love them. But since I can't have them without breaking out in hives these days, I have found new things to enjoy. I don't know that I can limit myself to one food but I love fresh, organic foods from Farmer's Markets. 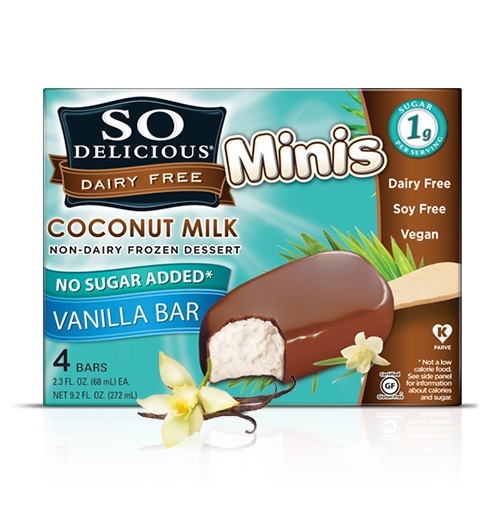 With this pregnancy, I am kind of obsessed with these dairy free ice cream bars from SO Delicious. together was a day I could never forget. We both worked together at In-N-Out Burger and I had a serious crush on him forever. He would offer to drive me home from work because I had no license yet. We would sit in my folks driveway and have these great conversations. We had so much in common and viewed life the same way. I graduated from high school a semester early and my parents surprised me with a trip to Disneyland as a graduation present with all of my family. When I returned from the trip, Mike came over and asked if we could be boyfriend/girlfriend. I was so excited! Four and a half years later we were married and I have never looked back. 5. If you could live anywhere in the world, where would you want to go? After moving so many times with the military, I have learned that you can make any place your home. This is a tough one because I really love this area of Georgia. I wouldn't mind living around Idaho/Montana areas. I love mountain areas and being able to see God's amazing creation. So as long as I get to enjoy His beauty by being able to get outdoors while having my family nearby, I am happy. 6. If time, money, and talent were not an issue, what would you love to do? I would love to travel all over with my family. I know we'd need to wait a few years until they are older. But it'd be fun to travel around, even just seeing the different parts of the U.S. It'd be fun to take our family on a year long road-trip, bringing our school along and getting to check out the different sites that we have here in our own country. Mike and I are so going to do the RVing thing someday. It's going to be such a fun adventure. 7. What is the best piece of advice you have ever been given? Oh, I have been given such great advice from so many people. My Nana used to tell me that if I wanted something done, I needed to do it myself. I've always kind of done that too. I make it a goal to be a hard worker and not sit around. My parents have taught me that no matter what I do to put my trust in the Lord. He will guide my path. My Grandmother taught me to be brave and keep pressing forward. I had a mentor in MOPS tell me to be sure to home school my children spiritually. Don't expect the church or anyone else to do it. I needed to be sure to teach them about Jesus and read to them from the Bible. I strive to do that daily. 8. What is the silliest thing you have ever done? I do things like starting the wash but forgetting to move it to the dryer. And I am a little on edge when I get overheated. For some reason my body temperature is warmer than most people. So I sleep with the fan on, even in the winter. My poor husband! But something silly that I've done in the past was when I would get the syllabus in college on the first day of class. I would look it over and stay up night and day for the first couple of weeks getting most of my papers busted out. Throughout the semester, I would adjust as needed but the majority of the work would be completed right away. I have this need to get things done as soon as I know about them. I cannot procrastinate even if someone paid me. 9. 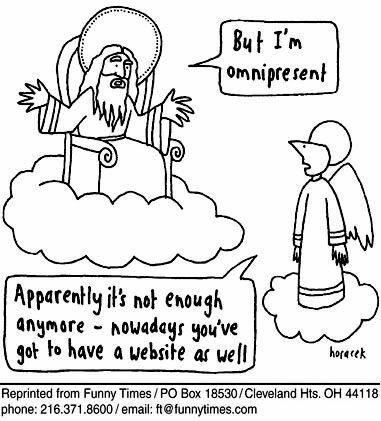 How do you want people to remember you? I want people to remember me as a woman who loved Jesus so much that she wore it on her face. I want to be known as a person with unspeakable joy. Also, I want to be remembered as a person who was genuine and willing to share her downfalls, even though I may wear a smile. I don't care about fame or fortune. I don't care if I am super popular. But I do want to be someone who shares the light of Christ with the world. 10. Who or what has had the big influence on who you have become? I went through a lot of trial and temptation early on in my life. I faced some very hard situations that I feel has shaped the person I have become. My parents were very hard workers and raised us up to know Christ. They did not become believers until after marriage so they had to learn a lot as they went along raising their family. I was fortunate enough to have amazing grandparents as well. I spent a lot of time with them growing up when my parents worked. They were very wise and shared a lot of important life lessons with me. They lived through the Great Depression among other things so they passed on a lot of good values. 11. Who is your hero? My husband is my hero. He is a man of faith who loves the Lord. He works so hard at providing for our family always putting everyone else first. He has fought for the freedom of our country. He is a true gentleman who treats me like a lady along with our girls. Our boys are learning so many amazing qualities of manhood from him. He is better than any Mr. Darcy or Mr. Knightly. I still swoon over the sound of his voice or being in his presence. He is my hero. He is the one I prayed for as a child. And he is the one God gave to me. I love Fall and my favorite holiday is Thanksgiving. I love that we get to be thankful for the things we have been given while also celebrating with those who are near. 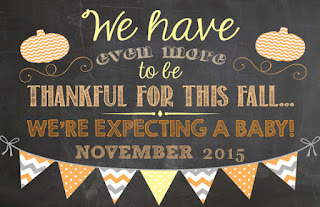 I am excited this year to be expecting a baby at Thanksgiving. I love babies but pregnancy is hard for me. I can do the baby stage and lack of sleep. The hard part for me is being pregnant. I have trouble slowing down and taking breaks. I am still in awe that I am pregnant for the sixth time. The whole process of a baby being created and born is so amazing to me. I don't do heat well... at all. I would love to be able to sew and I have tried so many times. I have never been very good at it. I love the things that can be made from sewing. But I do enjoy cross stitching. I just never have enough time these days to sit down and make something from it. I enjoy it as a mindless activity right up there with word searches. 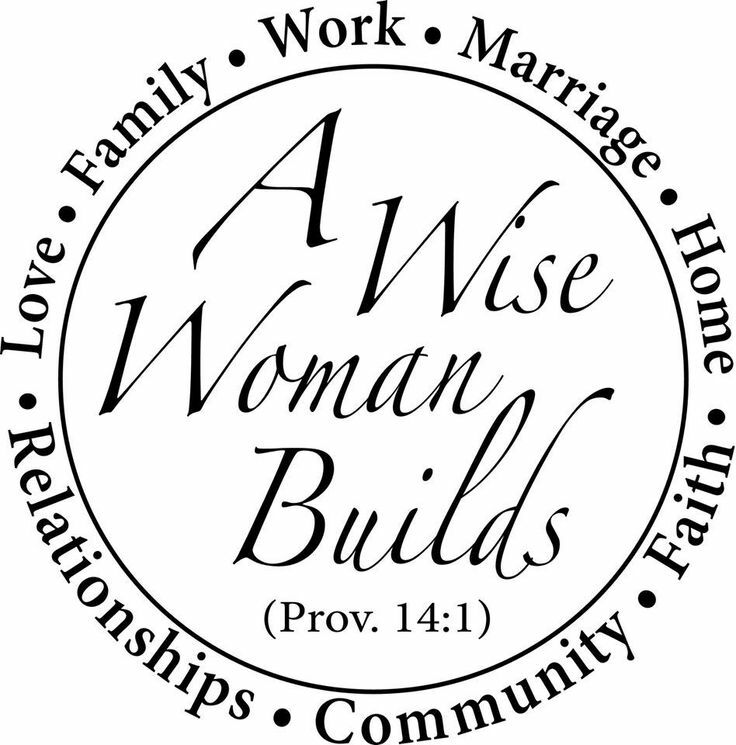 My favorite books of the Bible are Nehemiah, Acts, Ruth, Proverbs, and Luke. It goes in that order too. Pink was my favorite color for years. But I am now in love with yellow and mint green. I still like pink too... just not as much. I just love classic books like Mary Poppins, Chronicles of Narnia, Jane Austen books, and Brer Rabbit. I can read them over and over again. I do not like big crowds. In fact, I get panicky when I have to drive in traffic or be somewhere with a lot of people. I much prefer small towns and small groups of people. I have trouble seeing outside even on shady days. My eyes are very sensitive to light and I need sunglasses when I step outdoors. I love coffee and especially holiday flavors. I prefer local coffee shops over Starbucks. I am also a fan of Peet's coffee. TO THOSE WHO HAVE BEEN NOMINATED, HERE ARE YOUR QUESTIONS. IF YOU ARE A FOLLOWER OF THIS BLOG, FEEL FREE TO ANSWER ONE OR MORE OF THESE QUESTIONS IN MY COMMENTS AS WELL. 8. Where is one place you would like to travel? Have fun answering! Don't forget to check out those blogs and follow them. 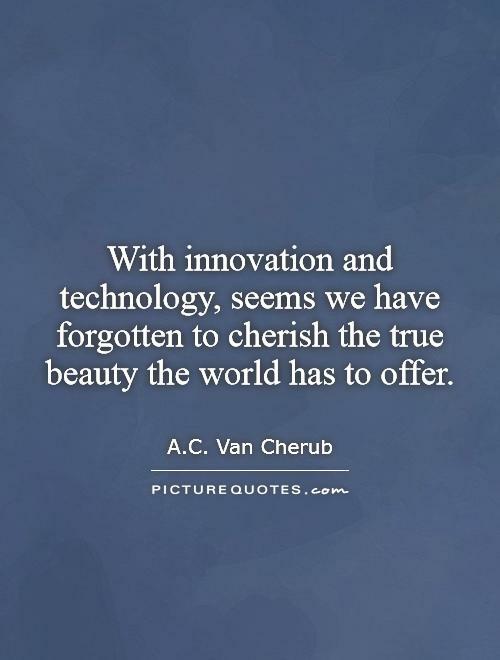 Through observing people, I have really noticed the way technology has seemed to take over the lives of so many of our world. Whether through TV watching, Facebook/ Instagram scanning, or just surfing through the web, we are all becoming robots. Often times, the first things we do is reach for the phone or computer to check it as we wake up. We want to know the very latest or respond as quickly as we can. Other times, as soon as we sit down, we turn on the TV, even for background noise. I have been guilty of some of this myself. But it can also be so frustrating when you have company and people are staring at their phones. If you go to a restaurant, it's easy to notice how people at the tables are not conversing but busy on their phones as well. This idol we can't live without is becoming a source we need to really step back and consider. It's scary to think how addicting it is becoming to so many lives as we allow it to take over every aspect. It's been a learning process for me as I've had to slowly let go of things like Facebook. I've used it for the Unspeakable Joy Exchanges, which has been a great tool to get the word out. However, even my short time on there re-activating my account leads me to begin scanning everything, even just to get caught up. When's the last time we spent time with pure silence? When is the last time we could say that we were bored? Why do we constantly need time to have our minds controlled by technology? Are we being active enough to step beyond media to real-relationships, real-time, and real-important news? Do we really need to use the argument that we don't have time for God? I have been guilty of shushing my children so I could "look something up" or check the latest statuses. Most of the time, those statuses aren't even important, particularly when it's someone's meal picture they've shared or their latest workout selfie. 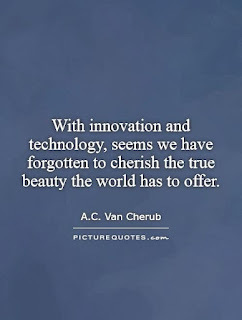 What is important is to step away and observe the every day without the technology. We don't watch TV during the week in our home. On the weekends, we enjoy a movie night on Saturday night. There are things I am working on for myself with media and using it less as an outlet for those moments of quiet that happen. I enjoy writing and blogging. It's been a great tool for me to get my words out there that I feel are necessary to share. Nonetheless, I have decided to take a major break from blogging for awhile as well as other forms of cutting back. I've decided that I will not check my phone often for texts but be more proactive in only sending them as necessary, mostly at the end of the day. I want to enjoy the day and be bored. I want to have moments where I can sit and watch the birds of the air. I want my children to have a mom who's active in their lives and not too busy looking at things online. It's time we take back our lives from this overpowering tool and find ways to use it less. I will miss sharing my posts on here for awhile. Thank you to those who have been supportive of my blogging and willing to encourage my writing. For now though, I am learning to live more in the moment and this is part of what I must give up in the process. Continue to live joyfully, my friends! 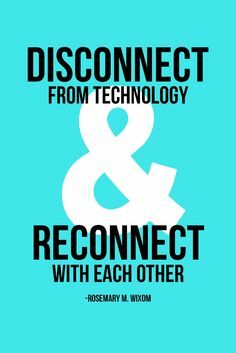 I look forward to staying in touch through other ways for the time being. God bless!